[mantra-multi][mantra-column width=”1/2″]ENG – A lot of people in my neighbourhood complain when it’s raining. I’ve learned to love rainy days, because I’m noticing there is still a lot of colour to be seen if you are able to fight the urge to cover yourself up and to take a good look. The many reflections give for a really special atmosphere when it is raining. I will for sure paint more rainy day scenes in the future. 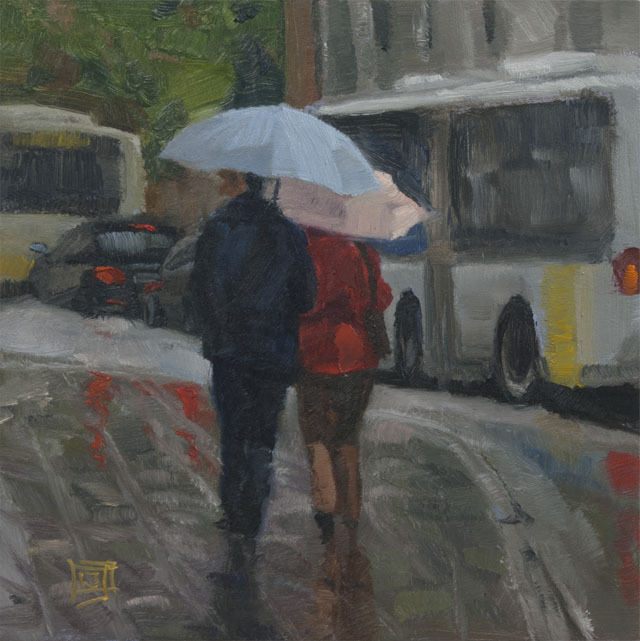 Here’s one of a couple walking in Leuven.